From the Parent of a MAC 8th Grade Graduate: Montessori Academy of Cincinnati is the biggest advantage you can give your child, not only in education, but in life, and it is absolutely priceless in terms of the knowledge, skills, and abilities that your child will gain while there. This is an education system focused on the pace and style of the child, as compared to that of the class. The processes they learn and confidence they gain come into play over and over again as they venture into different areas, such as high school and college. [Our children] are thriving in our neighborhood high school and middle school, both in and out of the classroom. Their success would be impossible if not for your effort and friendship over many years. Academically, they’re knocking the cover off the ball. Both are posting straight A’s! …despite the fact that our younger one started the year in 7th grade honors math (having just completed math in the 5th level at MAC!) and our older one took the full offering of freshman honors classes while playing JV soccer and excelling in the Latin club. Of course their excellent grounding at MAC does have its downside – before starting in our High School, [our older child] had read virtually every book required in Junior and Senior AP English. 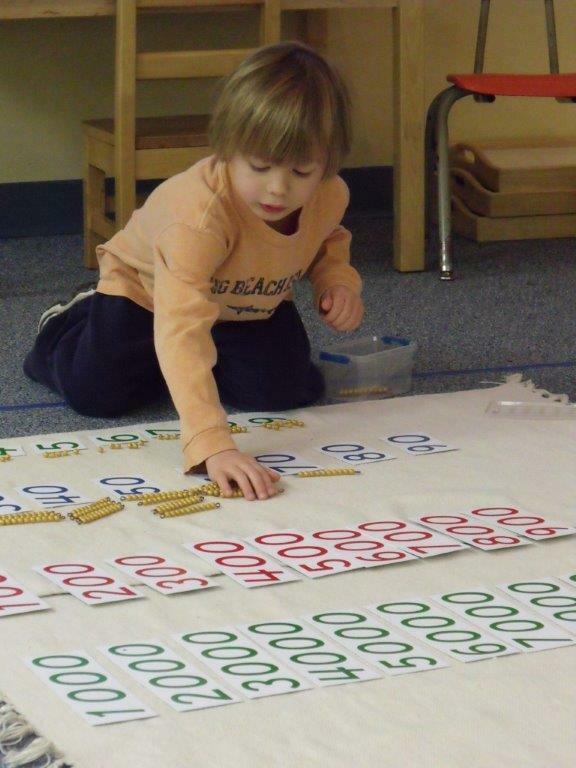 Montessori Academy of Cincinnati was the right place at the right time for our daughter. [She] attended public school for Kindergarten and first grade. We quickly noticed that she was not being challenged. She started to get in trouble for talking and did not like school. We tried to work with the system to challenge her but we were actually told by a teacher halfway through the school year, “We have nothing left to teach your child in first grade. She has mastered the curriculum.” We were stunned to hear this from a teacher. Montessori Academy of Cincinnati was the answer. There was no “stop” in the curriculum. If she excelled in one subject but not in another, she could move through the grade in that subject while taking her time to master the more challenging one. The higher math that she learned better when she could touch and manipulate that which she was learning. Who wouldn’t! When you can hold “1000” in your hands, you get how many that really is. She loves to come to school every day and is excited to tell us all she has learned when she comes home. 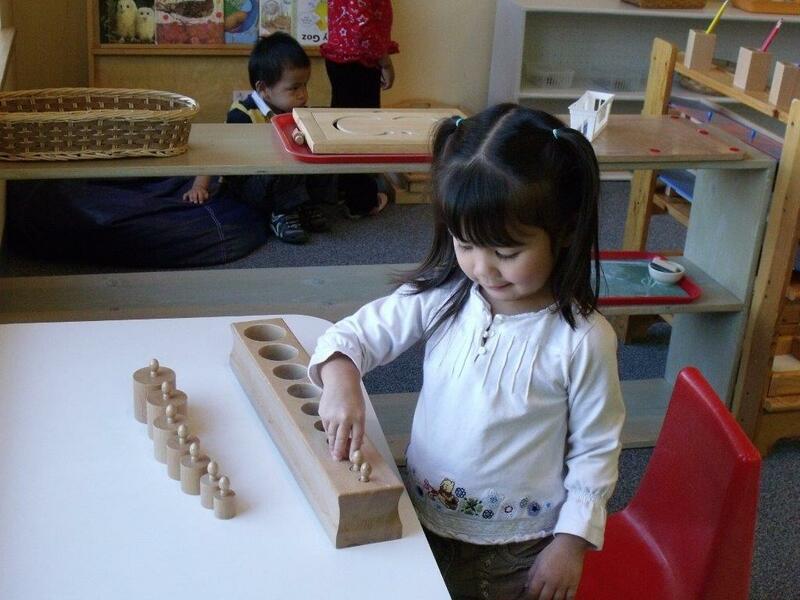 She quickly learned all the Montessori materials because they make learning make sense. We feel MAC is the best place for our child to master the foundations of learning. MAC delivers academic challenges focused on the individual child. Your child is given the ability to excel to the next level without waiting on “the majority” to grasp the concept. Also, a child who falls below “the majority” moves at his/her own pace to ensure understanding and creating a firm foundation for future learning. Thus, every child receives a positive experience without the negative implications associated with the traditional classroom environment or standardized bell curves. MAC exhibits a positive, productive educational environment where learning is energetic and fun. It permeates throughout the building, the staff and ultimately reflects onto our children. There are wonderful teachers and staff, many lessons learned in and out of the classroom, great field trips, learning manners and respect for others. I can recall all the great experiences we had. I have always volunteered and participated at the school. I have enjoyed every minute of it! We have cooked, sewed, planted, created and had lots of fun doing it. Our son made fantastic progress during his first year of elementary school and [soon was] reading beyond his grade level, doing math at an advanced level as well. I believe MAC has given him the self-confidence to interact with other children and adults no matter what the social setting or circumstance. He is always polite and respectful to all people he meets, no matter what their background or race; which is something that we teach at home, but which is also endorsed at school. One day our son brought home some complex math problems and showed me how he could do these problems. I said to him, “Wow, when I went to school, they did not teach that math concept to me until I was in the third grade”(he was in first). My son looked puzzled and said, “Why not?” Indeed, why not? 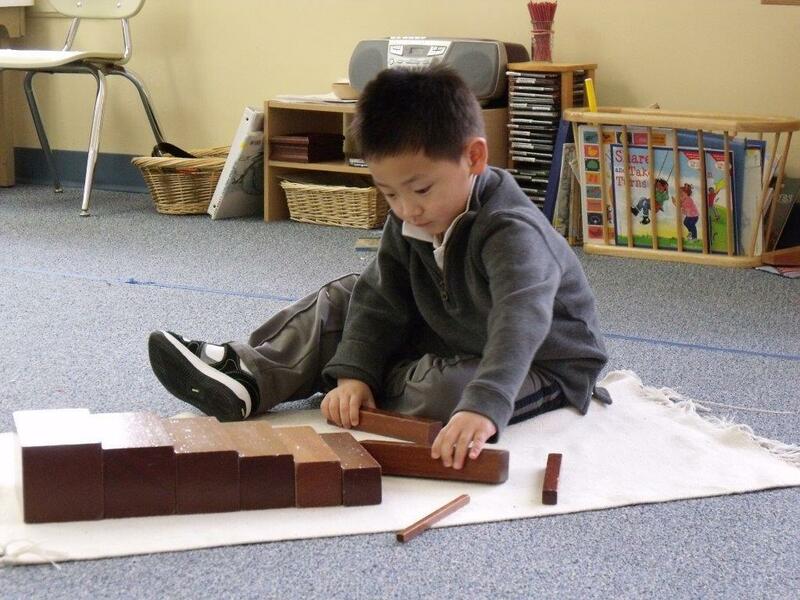 Montessori allows children to advance into their work beyond what is on a rigid, preset curriculum for their grade-level. It allows children to flourish and go as far as they are interested (and ready) to go. In this setting, just watch the kids, and they will take off. What we found at MAC was a student-centered learning environment that promoted self-motivation and responsibility, qualities that we had not seen in a traditional learning environment. Allowing the students to work at their own pace has given my children a sense of ownership and accomplishment that is so important to their learning and self-being! My husband and I are continually amazed at how much kids can learn when given the right opportunity to do so. We truly feel MAC provides the best possible environment for children to grow academically. The Montessori environment, with its hands-on teaching methods, works very well to teach children new concepts in a way they really understand. I have been especially impressed with how it works well for different types of personalities. Perhaps even more importantly, the staff at MAC has been extremely caring and more than capable of working with the students on a personal level. Everyone there takes pride in the school and really wants each student to be the best they can be. The low student-to-teacher ratio is one of the strongest aspects of the school. All the teachers and staff members know my children each by name, as well as which class they are in, and even generally know how things are going for them on a daily basis. I really feel the first years of schooling are the most important because they lay the foundation for all future education. No matter where our children go after MAC, they will have gained an ability to learn and an appreciation of learning. My daughter has been attending the Montessori Academy since pre-school. She is now in fourth grade. My husband and I have been extremely happy with her education. We like the low student/teacher ratio and the special attention that she receives from the teachers. Montessori Academy has worked with us to help our daughter succeed academically and socially. They are open to new ideas and are always trying to improve.